Blizzcon 2014 brought with it some pretty big surprises, the biggest of which was the announcement of Overwatch, Blizzard’s first new franchise in 20 long years! Amid the Warcraft movie details and Starcraft II: Legacy of the Void going solo, Overwatch came as a breath of fresh air in a conference always surrounded by pretty much the same logos and characters since almost 2 decades, which of course, isn’t necessarily a bad thing. We’re big fans of Blizzard’s games, but we have to admit they were getting a bit typecast as developers. Overwatch is a new team based multiplayer shooter set to release sometime next year. Here’s all we know about it! Since a couple of years, there were rumors of a new IP from Blizzard codenamed ‘Titan’, an MMOG. After going through a reboot, it was cancelled in September 2014 for apparently not going the direction in which they wanted it to go. It was described as an MMORPG in a futuristic sci-fi world where players were heroes by night and commoners by day. Overwatch caught everyone completely by surprise because there weren’t any rumors about it floating around either. Chris Metzen, Senior Vice President of Blizzard Entertainment confirmed that Overwatch incorporates some elements and art from Titan, such as maps, but the two were otherwise unrelated. 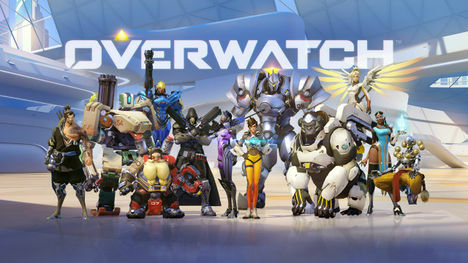 Overwatch is basically a team based multiplayer shooter along the lines of Team Fortress 2, with unique classes and an art style reminiscent of the same. In the newly released trailer and gameplay footage, we’ve seen some of the characters, which really do look diverse and have cool powers. What’s interesting is that even though it’s a first person game, there’s melee based characters too! From the first look, the game seems to be very fast paced and fun, with a focus on team diversity. As seen above, there seems to be representatives from multiple countries, which is a great thing. Check out the video below for a preview of the characters and do let us know what you think of it!